This major new work of channeled literature shows readers how to develop their own intuitive abilities and continues the program of self-development begun in Paul Selig's previous book, I Am the Word. In this bracing and tremendously practical new work of spiritual psychology, author and medium Paul Selig takes channeled teachings into dramatic new territory. In this fresh revelation, the invisible teachers who speak through Selig actually instruct readers on how to develop their own powers of intuition, clairvoyance, and inner knowing. I began to evolve as a clairaudient and later as a conscious channel. My guides, a consortium of beings from a higher level of consciousness, were here to teach. And love will not be distorted. It cannot be. It cannot be tampered with because it is a high frequency. And a high frequency, so you see, will always stand in congruence with the Creative Source. 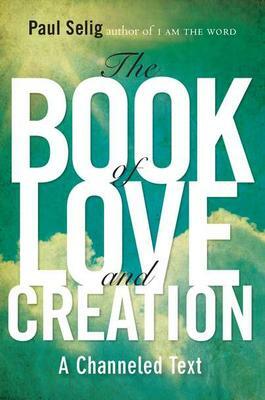 Filled with meditations, exercises, psychological insights, and affirmations, The Book of Love and Creation immediately produces change in the life of every dedicated person who approaches it. Fine for returning readers and newcomers alike, the book is an extraordinary experience in a new body of channeled wisdom that is attracting readers across the world.